Do you need a bigger file? The file available on this site is 1024 x 958 px. To obtain an alternate file type or higher resolution copy, please contact the owning institution. Scope/Content: Audio recording of the UCI Chamber Symphony recorded at the University of California, Irvine on April 19, 1975. Scope/Content: Overture to La Clamenza di Tito / W.A. Mozart -- Symphony No. 104 in D Major / Franz Joseph Haydn -- Symphony No. 1, op. 21 in C Major / Ludwig van Beethoven. Performers: UCI Chamber Symphony ; Alvaro Cassuto,cond. 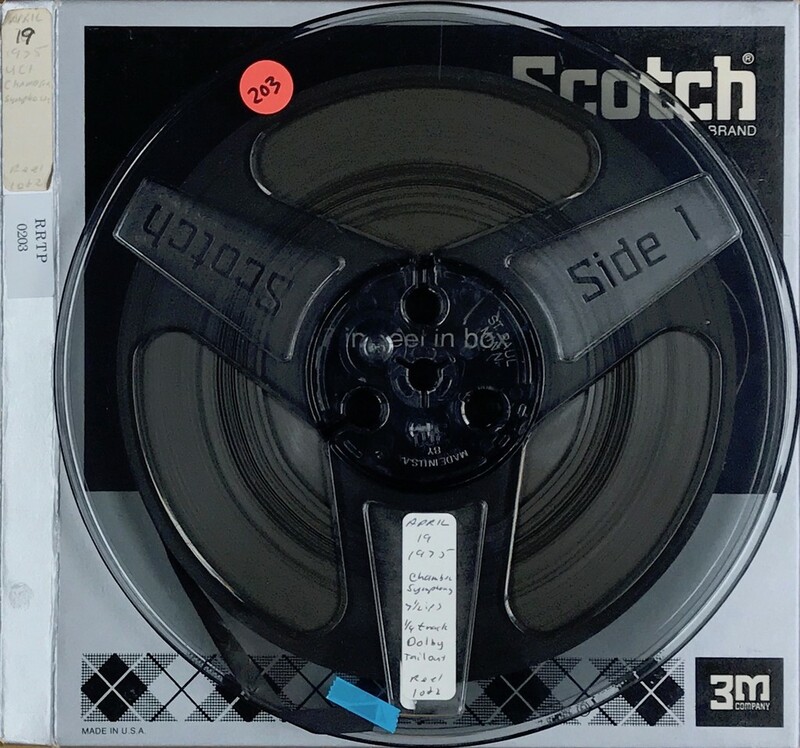 Conservation History: Digitized from reel-to-reel tape April 13, 2018 by Mass Productions, Tewksbury, MA.